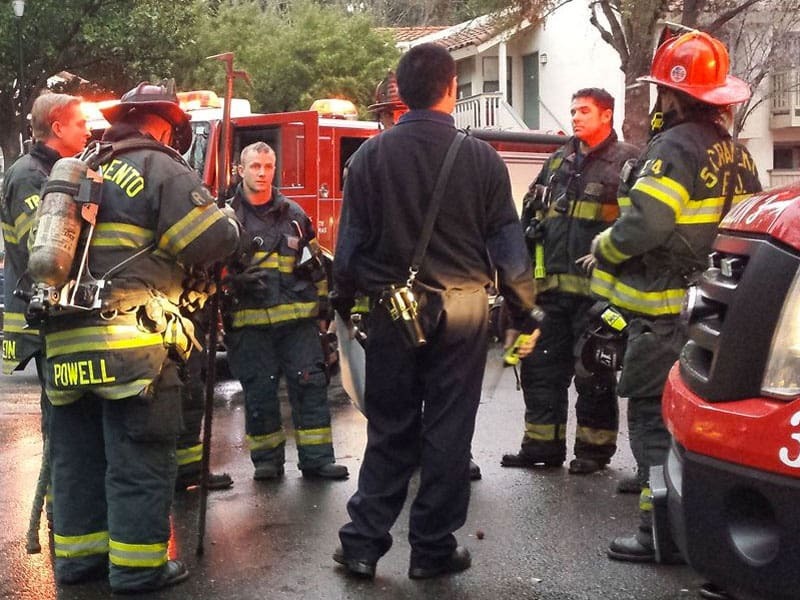 On Saturday, March 2, 2019, at approximately 11:02 p.m., officers from the Sacramento Police Department responded to the 5400 block of Wardell Way after receiving a call transferred from fire. While responding to the call, officers received information that a male had been stabbed. Officers arrived on scene and determined the male victim was not at the residence and had been transported to a local area hospital by witnesses. Additional officers responded to the hospital to contact the victim. The officers arrived and determined the victim was a male black adult in his thirties, whom sustained a stab wound injury to the upper torso. Despite life-saving measures by medical staff, the victim succumbed to his injuries and died at the hospital. Homicide Detectives and Crime Scene Investigators responded to the scene to take over the investigation. During the investigation, detectives learned a domestic dispute between the male victim and the live-in mother of his three children, Lagette Johnson, broke out. During this dispute, Johnson stabbed the victim, causing a life-threatening injury. 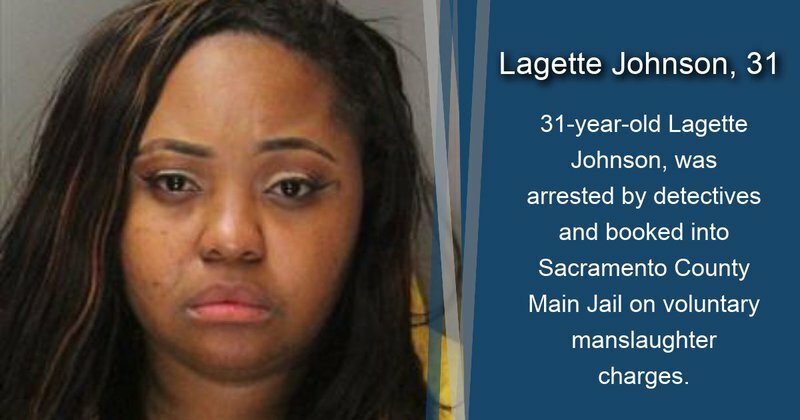 After extensive follow-up, 31-year-old Lagette Johnson (photo attached), was arrested by detectives and booked into Sacramento County Main Jail on voluntary manslaughter charges. The identity of the victim will be released by the Sacramento County Coroner’s Office once next of kin has been notified. 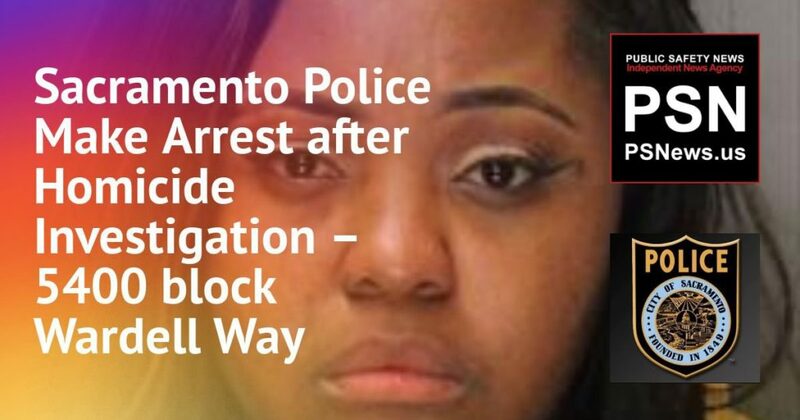 The Sacramento Police Department encourages any witnesses with information regarding this incident to contact the dispatch center at (916) 808-5471 or Sacramento Valley Crime Stoppers at (916) 443-HELP (4357). 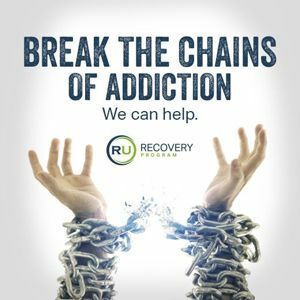 Witnesses may also submit an anonymous tip using the free “P3 Tips” smartphone app. Callers can remain anonymous and may be eligible for a reward up to $1,000.